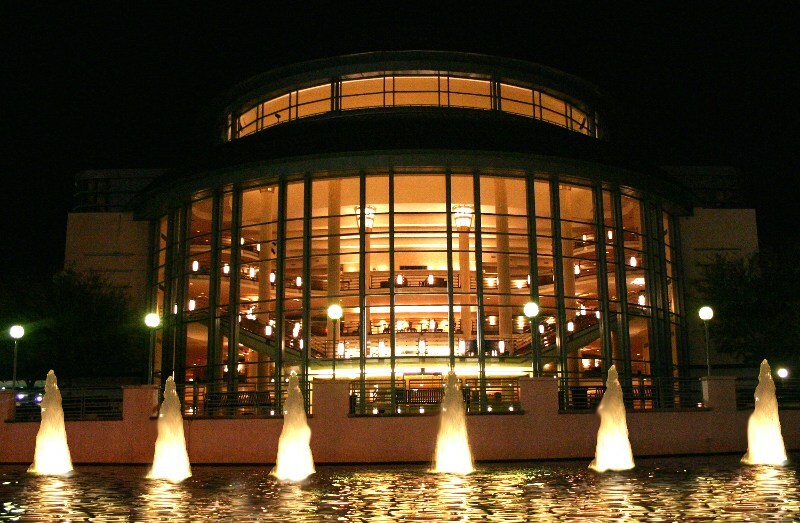 The Raymond F. Kravis Center for the Performing Arts. Here you will find photos and information about the different events we host throughout the year. Please plan on joining us this year for one or more of these outstanding events! Click on any of the Events below to jump directly to a specific event. We still need your photos of BOAPBC events! If you have some photos you think the group would like to see posted here, please send them to us an email by clicking here. Special thanks go to Jerry Sanzone of Pompano Beach for providing so many of the photos you see on this website! The BOAPBC 2012 Charles R. O'Meilia Golf Tournament was held at the PGA National Resort on the Squire Course in Palm Beach Gardens on June 23rd. We were pleased to have Phil McMahan from ICC with us for this year's outstanding event. We had about 120 players participating, and also received one bronze and seven gold sponsorships. The venue was outstanding and the event was a huge success by all accounts. We sincerely appreciate everyone's participation and special thanks go to our Sponsors. You view a list of our Sponsors by clicking here. You can read more about Charlie and the scholarships funded in part through this tournament by clicking here. The location was great again this year and everyone had a great time. We are looking forward to another successful event next year. Check our Bulletin Board page for details... Click the links below for pictures of our golfing "professionals". The BOAPBC 2015 Fishing Tournament was another success in a long string of great events. The weather was good everyone aboard had a great time. This year, we fished out of the Boynton Beach Inlet aboard the Living on Island Time Drift Boat. Here are some photos of the group and our prize winning anglers. The group aboard had loads of fun and won prizes and cash. We are already planning ahead to make next year's event even better. Please check the Bulletin Board page often for more details on this years event and to see our plans for next year. The 2019 Annual Picnic was held at Ocean Reef Park on Singer Island on March 30th. This year's turnout was fantastic, and the weather was perfect. Our friends from IAEI and PGMI joined us again this year helping to make the event a great success. Thanks to the picnic committee for all their hard work to make it a great day. Please plan on joining us next year. Check the Bulletin Board page later on for details as soon as we have them. The photographs below were taken at previous ICC Annual Business Meeting and Code Action Hearing events. Check the Bulletin Board page for more details on this year's ABM. More photos of delegates from around the world can beviewed on the ICC site here. The photographs below were taken at the Building Officials Association of Florida Annual Conferences at various locations around the State. The conference always includes excellent continuing education that is right on target. Check out the Education page for more details and forms to sign up for the next Annual Conference. More photos from various conferences can be viewed on the BOAF home page and selecting the "conference" menus. The photographs below were taken at previous Building Officials Association of Palm Beach County Banquet, Awards, and Installation of Officers events. Check the Bulletin Board page for more details on this year's banquet. The photographs below were taken at previous Building Officials Association of Palm Beach County joint meetings with industry association events. Check the Bulletin Board page for more details on this year's event. The photographs below show Building Officials Association of Palm Beach County members participating in various special events. Check the Bulletin Board page for more details on current events.